Karaköy was once home to Armenian, Greek, Georgian, Italian and Russian minorities in Istanbul. More importantly, it was a prominent Ottoman economic center, where European and Turkish banks first established headquarters in the 1800s. In addition to finance, commercial networks also ran through the harbor. 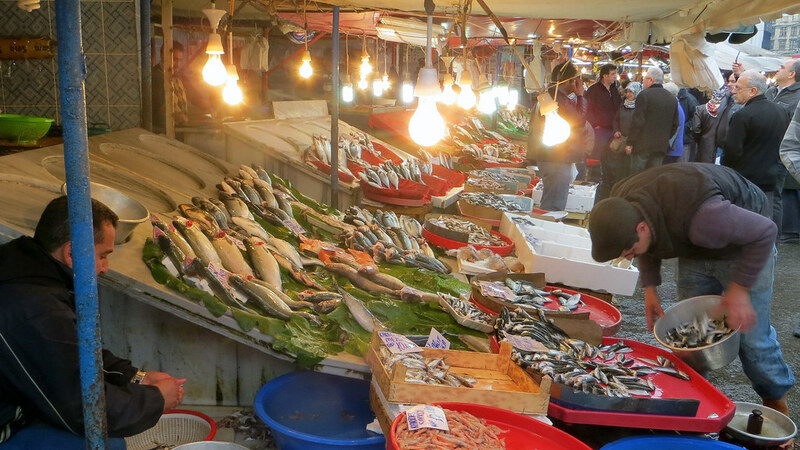 Today, trade shops and fish mongers sit cheek-by-jowl with galleries, cafes and historical sights. Karaköy is the modern name given to a portion of the old Galata neighbourhood, so the distinction between two is not crystal clear. Still, Karaköy mainly includes the coastline area below Bankalar Avenue from the Galata neighbourhood, across to Tophane. 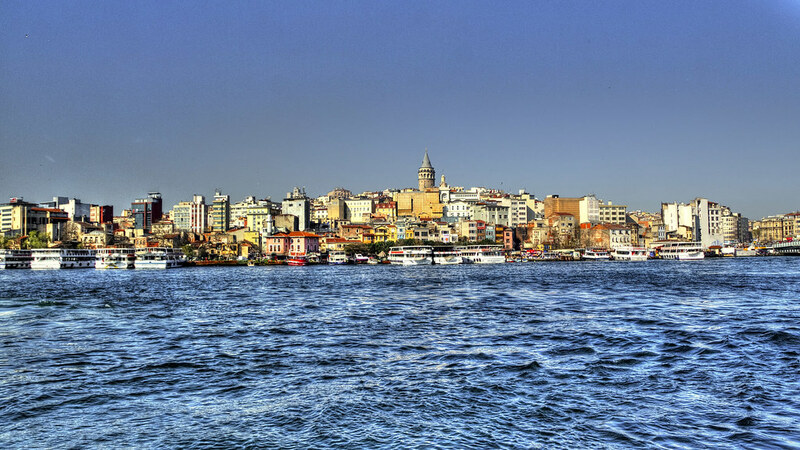 Kemeraltı Avenue (which connects to Galata Bridge) is the main artery through the area, with Tersane, Necatibey, Mumhane and Kemankeş Avenues the primary streets for discovering both historical and hip Karaköy. To start with, head towards Bankalar Avenue, formerly the financial center of the Ottoman Empire. There are still headquarters of many banks in historical buildings on this street, but none of those buildings is popular as SALT Galata, built in 1892, where Ottoman Bank used to stand before. For its website click here. 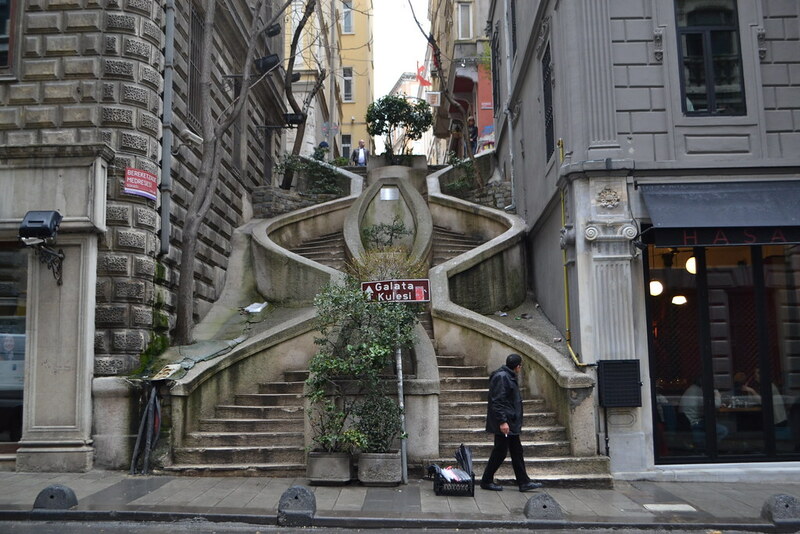 An other distinct feature on the avenue is Camondo Stairs, built by Camondo family in 1870s who moved to Istanbul from Spain because of religious pressure on Jews. 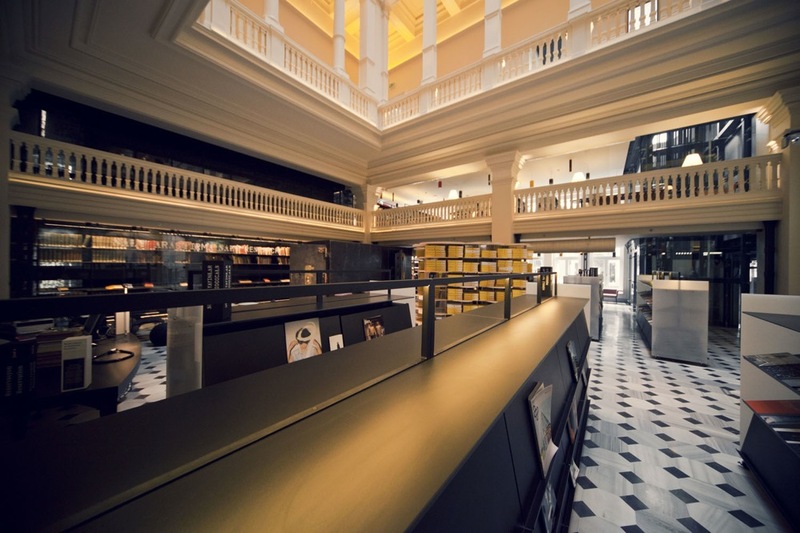 You can also pay a visit to Jewish Museum of Turkey in where Bankalar Avenue meets Kemeraltı Avenue. For its website click here. Passing by the Galata Bridge, on Kemankeş Avenue you should see Ashkenazi Synagogue, built in 1900. The Synagogue opens to visitors, but only with prior reservations. For information you can call +90 212 243 69 09. 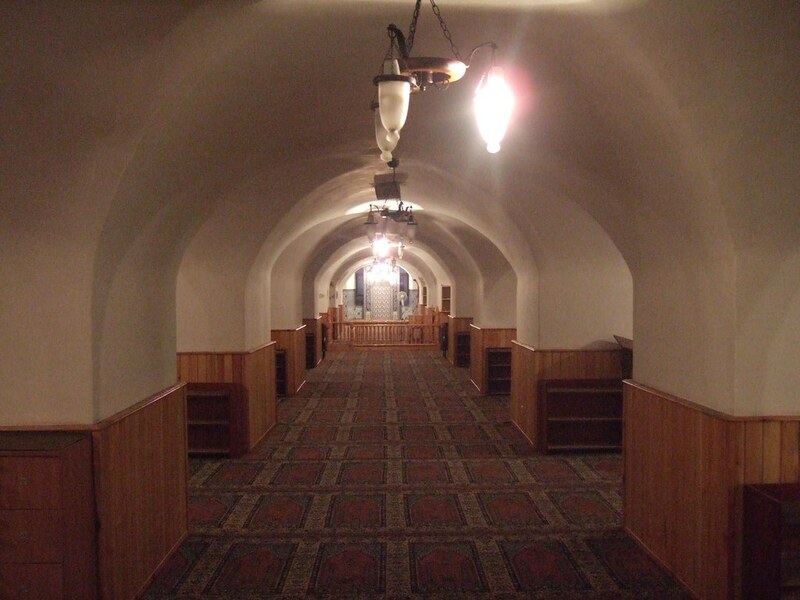 Further along, Yer altı Mosque used to be a cellar in the Byzantine era (hence the name, which means “underground”) but was turned into a mosque in 1725. 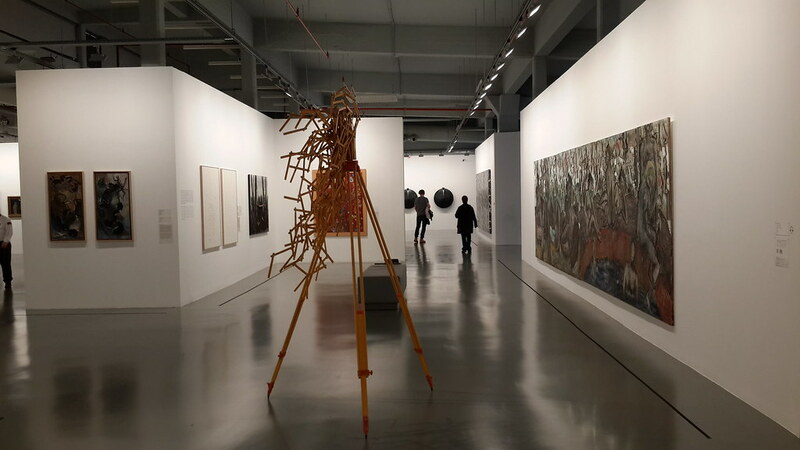 Further, if you are interested in contemproary art, you should visit Istanbul’74, where works of both local and international artists are exhibited. For its website click here. There are plenty of cafes where you can enjoy a nice lunch on Kemankeş Avenue. Restaurant Maya is one of them with well-selected healthy ingredients in its dishes. They also come with a different main menu for each day. For its website click here. For dessert, you are lucky that the best baklava place in the town is near you! Karaköy Güllüoğlu serves the best quality of baklava, thanks to Gaziantep heritage of Güllüoğlu family, since 1949. For its website click here. Let’s move along Maliye Avenue until Mumhane Avenue. That street would directly take you to Kılıç Ali Pasha Complex. But before that you can have a look at Fransız Geçidi (French Gateway) where some pretty cafes and shops under French-style balconies. Check out Fashionateye for vintage glasses and Kagithane for quirky paper products. Ali Paşa Değirmeni Street seems to welcome a new gallery every week, but right nearby, on Necatibey Avenue, you can still find remnants of history in hidden churches, including Surp Krikor Lusovoriç Armenian Church and small Russian Orthodox churches. Kılıç Ali Pasha Complex is a couple of buildings constructed by Sinan the Architect between 1580-1587. It contains a mosque, a Turkish bath, a madrasa, a tomb and a fountain. It is a very beautiful place to have your Turkish bath experience. For some other hamams, check out this posting. Sinan’s other work in Karaköy is Azapkapı Mosque on the west of Galata Bridge. If you are going to come to this side, do not forget to have a look at Arap Mosque, the first mosque in Istanbul, and Karaköy Fish Market nearby. Our last stop is Istanbul Modern in Tophane, which is the castle of contemporary art in Istanbul. The works of prominently Turkish artists are shown here as well as important international exhibitions. You can visit the museum every day but Monday. Entrance is 15 TL. For its website click here. A perfect finish to the day would be fish and rakı with a view of the Bosphorus from under the Galata Bridge. While the restaurant personnel will try to “hunt” you, walk by confidently and enjoy an evening at Yaka Balık Restaurant. Not in the mood for fish? Then you should definitely try Zelda Zonk inside Gradiva Hotel in Bankalar Avenue. Besides Turkish food, you can find examples from world cuisine. The best part is having your dinner in front of the Istanbul view from its rooftop in company with music of DJ. For reservation check out this website. Karaköy Liman Restaurant, found in Liman Street, is a very nice place for having fish beside the Bosphorus, which could protect its “old” atmosphere. You will be amazed by the scenery. For reservation: check out this website. Looking for a nice spot for a coffee break? Karabatak, in Ali Kaptan Street, is the first name comes to mind in Karaköy. With its energetic decoration, Karabatak became a meeting point with friends for young people. This chic cafe in French Getaway would not be only a good choice for a coffee break but also for wine. Its fresh and cozy environment will make you feel like home. The funicular between Istiklal Avenue and Karaköy runs every 5 minutes. You can also reach the neighborhood by tram from Sultanahmet. Who is Mustafa Kemal Ataturk?